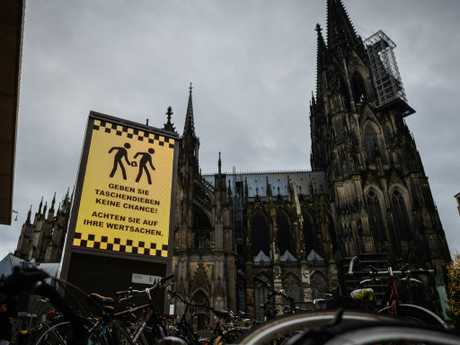 Tourists are unwittingly making themselves targets of pickpockets in an unexpected way. 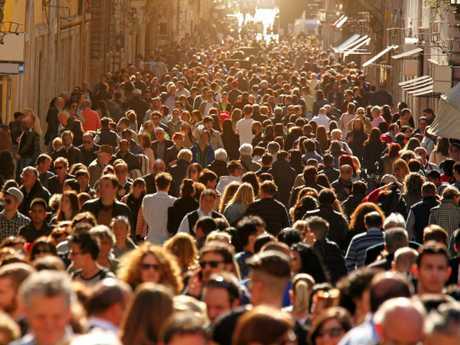 THE well-worn streets of Europe's major cities are places Australian tourists can feel reasonably safe from crime - except for the dreaded pickpocket. 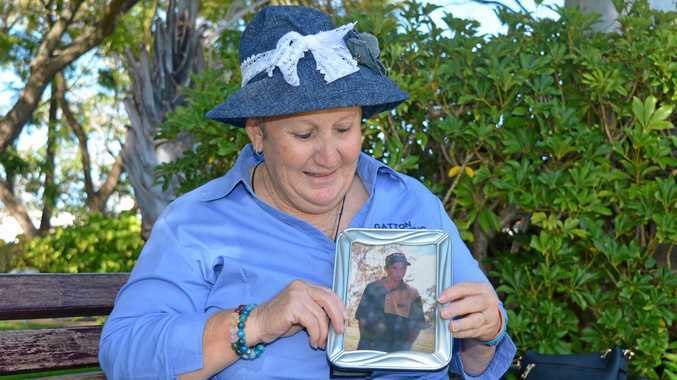 She said in her experience, signs that warned people to beware of pickpockets - which are often seen in subway stations in big cities like Paris and London - often backfired on tourists. 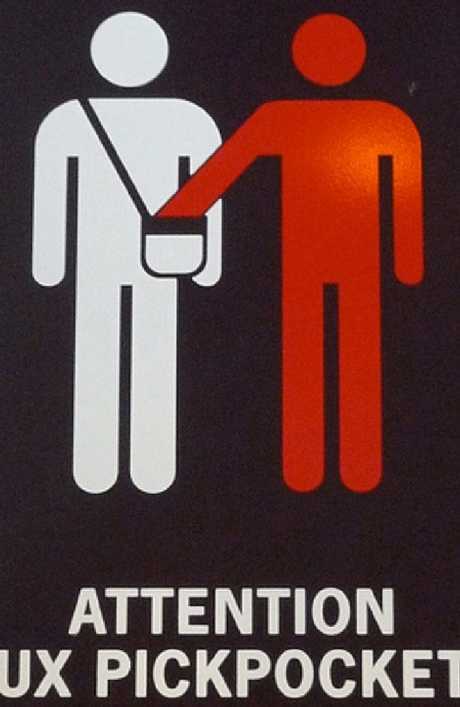 A sign in Paris warning people of pickpockets. 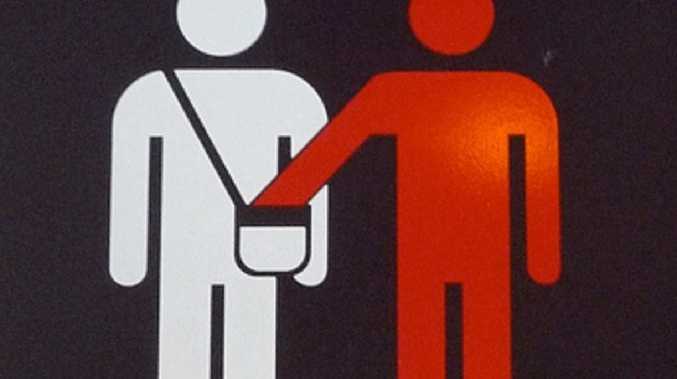 The world's savviest pickpockets can be found in Europe's major cities. • The infamous "gold ring" scam: A passer-by stops you and says you've dropped something, and shows you a "gold" ring. It's either a distraction technique - and your pocket is picked - or they insist you pay them a reward for finding it. 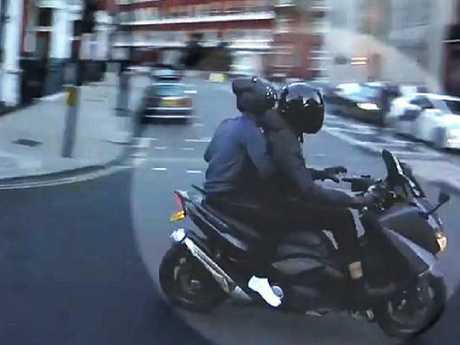 Moped gangs are a new and scary threat on the streets of London.